The Industrial Revolution irreversibly altered the world. The mark it made upon society can still very much be seen today, and it serves as the baseline for many fictional works, such as those of the steampunk genre. Two anime I’ve eagerly been watching this season are Hakemei to Mikochi and Violet Evergarden, both of which transpire in a time periods inspired by our own industrial age. If we assume that these anime take placee in an age similar to the ones we read about in our history books, we can draw conclusions about things not overtly stated in them. This historical setting thus adds an entirely new layer of context and world building to these narratives. So what leads me to believe that both of these anime are in an industrial period of their own? Summarizing our industrial age is no easy task, and I won’t be undertaking it. What I will do is construe elements of these anime that characterize an industrial age, starting with Hakumei to Mikochi, which differs the most from our own past. HakuMiko’s concept is very fantasy-like. It’s about a society of tiny people who are no more than a few centimetres tall. But despite the significant difference in size, they still behave very much like we do – they’re basically small humans. While some things, like the presence of religion, have so far remained unclear, it’s obvious that the people of HakuMiko have much in common with us. 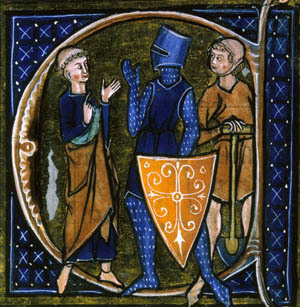 Cleric, knight, and peasant. A depiction of feudalistic class society. At first, I thought the world of HakuMiko was in an early medieval state, but further scrutiny made this seem unlikely. There’s no feudalism, which was prevalent throughout the dark ages. Most of the cities’ residents are of more or less equal status. This clashes with feudalism, in which the peasant had to work for the noble or the cleric and barely enjoyed any liberty. The world of HakuMiko appears capitalistic instead. Everyone is working for their own payment and their own expediency. The absence of feudalism is further signified by the world’s monetization. The people of feudal societies almost never left their hometown, and they would purchase things through the trading of belongings. Because of this, money was virtually useless. The taxes were crops or livestock, and since they never travelled, they had no need for a convenient, compact form of payment. In HakuMiko, however, the usage of coins is commonplace. To gain an even better understanding of the world of HakuMiko, I delved into the manga. With the intention of only reading what had already been covered in the anime – as not to spoil myself – I stumbled upon the very helpful information pages found at the end of every chapter. Some of these can be read at the end of each episode of the anime as well, but not all. I ended up reading every single one in the manga, learning much of the world without spoiling the anime for myself. The port city of Arabi, for example, known for its stacked shops and featured in the first episode, was developed by three great salesmen, who carried out many great deeds and were well-respected. It was also their notion to build tall rather than wide, even though there was no reason to do this. It was a joke taken too seriously, which goes to show that in this world, it’s not necessarily heritage that provides authority, like in the dark ages, but also opulence and approval. Anyone can obtain power if they are admired enough or amass riches. This did occur during the feudalistic period occasionally, but mostly after it passed. Said information page. It was also in the ED of the first episode. Yet, in spite of the similarities, the world of HakuMiko is not a complete reflection of our own history. For that to be the case, the cities would need to be unsanitary, and the people would need to be employed under poor working conditions (there also shouldn’t be magic). But pestilence and poverty are nowhere to be found in this colourful world. There are two possible causes for this, one being that it’s a tender show, meant to be enjoyable for children, and the other being that it’s inherent for the people of HakuMiko to take better care of each other and their surroundings. The latter would be the canonical reason. Another difference can be found in the unruly forests that surround them. Throughout history, the maintenance of forests by nearby communities was customary. The suppression of foliage in order to hunt game more easily , as well as coppicing (the cutting of trees to stimulate a specific desired growth), are examples of such practices. And while the people of HakuMiko are a little too small for things like coppicing, I think they could accomplish at least some degree of domestication. Land for agricultural purposes has most likely been selected in their world. But I believe that the deliberate decision to leave the forests be has to do with their deeply enrooted connection to nature, and I think this is where their caring character stems from too. But marginal inconsistency aside, I have only concluded that the world of HakuMiko isn’t feudalistic, where does the industrial age come into play? To answer this, I have to cite the manga’s information pages even more. One of the major changes the industrial revolution brought about, and the reason it’s considered to be a revolution, is the explosive urbanization, the growth of cities. As agricultural technologies grew more advanced, food excesses grew larger. This allowed for a much bigger portion of the population to specialize in different trades, instead of having to work the land. There wasn’t enough work to be found on farms, so people took to the city. The average city population increased rapidly during the industrial revolution, and it’s remained this way since. If it weren’t for the manga, there’d be no way to tell just how large the cities of HakuMiko are, but fortunately, one of the manga pages states that during the Harvest Festival there are up to 6000 food stalls active in Makinata. This is a number that can only be sustained by a huge city populace. Another info page spoke of a paper factory worker. Factories are the image of the industrial revolution, and most of those living in cities at the time were laboured for them. This page single handedly managed to confirm my conjecture, but I found more. 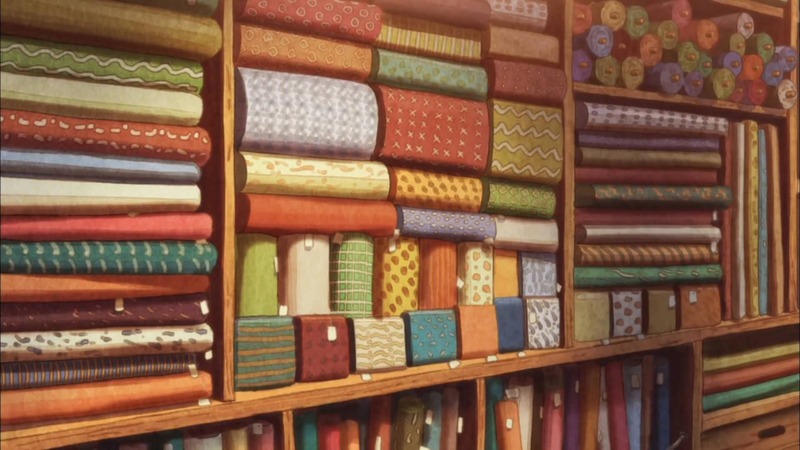 Many companies started with the profitable textile industry, which is likely to be true for HakuMiko’s factories as well, since we see Hakumei and Mikochi visit a large textile store in Arabi. The page also mentions that the factory worker is critical of the factory’s foreman. This is expressed in a comedic fashion, however, I do believe it also acknowledges the terrible work ethics during the industrial revolution, but I digress. The myriad of professions we see in the world of HakuMiko, now topped off with ‘the factory worker’, imply an industrial society. The last thing my spoiler-free research produced are snippets of the world’s technological level. One of the information pages, for example, covers a photo camera in great detail, and one of the chapters is titled ‘Night Train,’ which I suspect contains some sort of locomotive. The first cameras were developed in the middle of the industrial revolution, and the locomotive was obviously powered by one of the revolution’s biggest catalysts: the steam engine. So that’s where the industrial age comes in, and it’s interesting because, in a way, our knowledge of the industrial age now makes the world of Hakumei to Mikochi more complete than it already is. Using history we can fill in the blanks, if you will. It might be a bit far-fetched, but I think it makes the world more authentic. We can now speculate, for instance, that their meals taste good. The abundance of food will have made for many experimental culinary improvements, the prosperity will have increased the demand for good food, since it’s affordable, and the vast trading networks will be importing the most delectable of exotic seasonings. 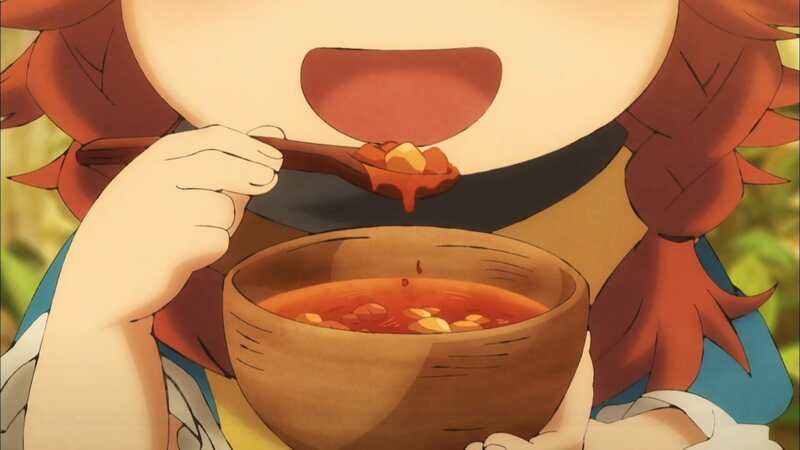 I could certainly go for some of Mikochi’s minestrone right now. And you can utilise this historic backdrop to aggregate many more of these hypotheses—fun right? 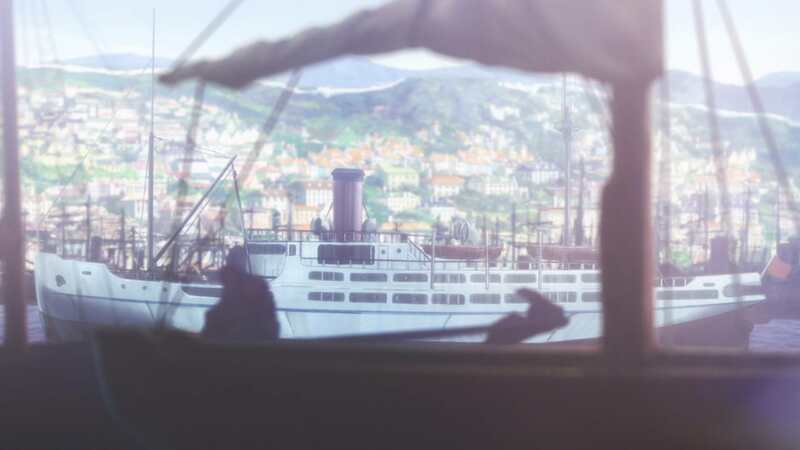 We can also do this for Violet Evergarden, which strongly resembles the British Empire during its Victorian era. Not only do we see this in the technology: locomotives, trams, motorized vehicles, typewriters etc. There are other indicators as well. At some point the ‘House of Lords’ is mentioned, which is an intrinsic part of the English parliament. Emily, from Atelier Emily, also connects the focus on writing in Violet Evergarden to the literary eruption that the Victorian era entertained, in her post. With this, assumptions can be made. I am convinced that the city of Leiden is part of a large colonial empire, comparable to the British Empire. A large port is located in the middle of the city, used for the exportation and importation of goods from all over the empire. From what we’ve seen, the wealth that it’s attained has led the city down a prosperous road, which, in turn, explains the commercial success of something as trivial as the ‘Auto Memory Dolls.’ Most citizens, especially those of the higher class, should know how to write. However, since they have the money, why not pay for their letters to be written by professionals? Another matter worth noting, is the war in which Violet herself fought. The war flashbacks are brief but resourceful. In it, you can make out obvious trenches and soldiers equipped with bayonets, a weapon which Violet masterfully wields in an incongruous melee battle. The trenches are a signature landscape of the first World War, and bayonets were also used during it, this suggests that Violet Evergarden has chosen to merge two major time periods: the Victorian Age and the World War era, which is fine since the two lie very close together. It’s comparability to the first World War was already evident however. What is important, is that it entails that this war was brutal. The first World War was, after all, one of the first instances of the involvement of citizens, and mass destruction. The city of Leiden seems unscathed, but we can assume that portions of the empire are in shambles, and that many have died. Whether we’ll be able to ascertain more about any of it is yet to be seen. 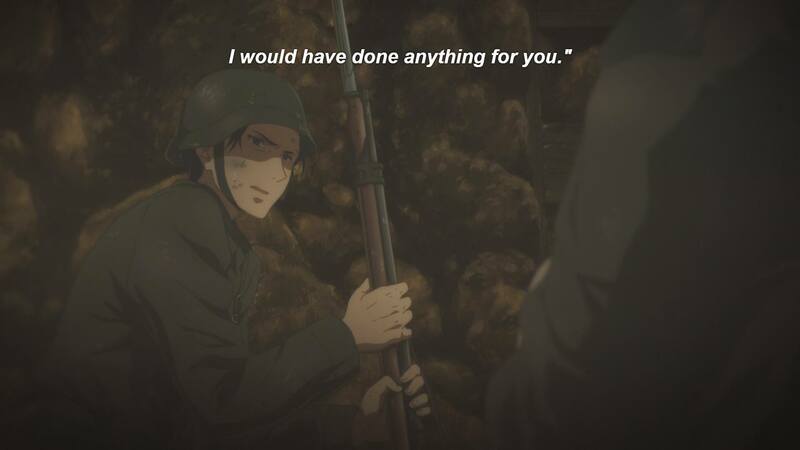 Historical context in fiction is enthralling, and I’m always excited when I find it deployed in anime. It provides us with plenty of information, which can be dissected to great avail. An anime that revolves too much around its world’s history won’t prove too intriguing for most, and there usually isn’t enough time within 24 episodes for this anyway. However, it’s the little things, like Violet and Iris’ conversation about why the war started (one of the belligerent’s lack of recourses), or the fictional sources for the information pages in HakuMiko, that confirm that these worlds are actively being thought about, and that there’s a lot going on behind the scenes. Nothing in Hakumei to Mikochi or Violet Evergarden feels off, or unbelievable. A good setting can be so very vital to a narrative, and it’s their depiction of alternate industrial societies that make their worlds come alive. I commend both authors, and any others involved in these stories, greatly, because I know that they did their research, and I know that it enhances my experience tenfold. Previous Post Is it Fair to Compare Works by the Same Studio? This might be the first serious treatment of Hakumei and Mikochi I’ve come across in the non-Japanese blogosphere, and I dig it. As you seem to have taken a liking to the Walking Underfoot sections of the manga, you might be interested to know that the author recently put out a ~150-page world guide (also titled Walking Underfoot; a sizable chunk of it is character profiles, though) and that I’m chipping away at a translation. That’s amazing! It’ll be a pleasure to read, thanks for translating it!